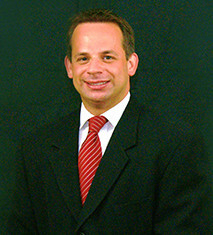 Mr. Herzog was admitted to the Florida Bar and has been licensed to practice law since September 30, 2005. Mr. Herzog is also licensed to practice law in the United States Federal Court, Middle District of Florida. Prior to admittance to the Florida Bar, Mr. Herzog received his Bachelor of Arts Degree from the University of Maryland, College Park and his Juris Doctor Degree from George Mason University in Arlington, Virginia. During law school, Mr. Herzog worked for the former United States Attorney General Edwin Meese, the Maryland Attorney General’s Office, and the Washington Legal Foundation. Mr. Herzog began his legal career with the State Attorney’s Office for the Sixth Judicial Circuit (Pinellas/Pasco) as an Assistant State Attorney. As an Assistant State Attorney, Mr. Herzog was responsible for prosecuting and served as trial counsel for hundreds of criminal cases (including misdemeanor, felony, and juvenile) on behalf of the State of Florida. In 2007, Mr. Herzog started the firm where he continues to practice in criminal law and has expanded his practice areas to include estate planning, probate administration and litigation, business/corporate law, foreclosure defense, and bankruptcy. Mr. Herzog has been trial counsel for hundreds of cases in those practice areas. He is a member of the Real Property, Probate, and Trust Law section of the Florida Bar. Mr. Herzog is a court-appointed Guardian ad Litem for abandoned, abused, and neglected children, and has completed the training and is in the process of becoming a Certified Circuit Civil Mediator. Mr. Herzog is an adjunct professor at Pasco Hernando State College (where he teaches Contracts, Criminal, Real Estate, and Business Law courses), the past president of and now serves as legal counsel for West Pasco Habitat for Humanity, and the past president and secretary for Nature’s Hideaway Homeowners’ Association. Mr. Herzog is the past treasurer for the young lawyers division of the West Pasco Bar Association, a member of the Clearwater Bar Association, a member of the Allgood-Altman American Inn of Court, and has served as the 2012 campaign treasurer to Re-Elect Paula O’Neil (Pasco County Clerk of Court and County Comptroller).